Most recreational athletes and weekend warriors are very active, engaging in various workouts several days each week from high intensity classes to performing Cross-Fit, and/or traditional weight-lifting at the gym. However, most of you likely have a desk job sitting/standing for long periods. As a result of strenuous activity coupled with poor posture from sitting/standing for long periods at your job, you can begin to develop increased muscle tension and injuries to certain areas of your body, including your neck, shoulders, upper back, and chest. This article will describe how to improve your posture so you can improve your strength when exercising. 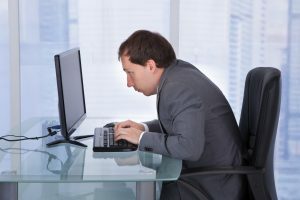 When sitting or standing for long periods at work, it is important to get up and move around about every 1.5 hours to avoid additional compression on your lower neck, upper back, chest, and shoulders. Sitting longer causes our shoulders to slump forward placing additional forces and muscle tension on your pecs, shoulders, and upper back. Maintaining proper head/neck position too is critical to minimizing injury at your job by placing less load on these same tissues when working out. However, if one does not change their posture at work, it is likely going to lead to injury over time due to the repetitive nature. Sports chiropractors work with athletes to improve their strength, stability, and function, but identify weaknesses to help reduce the incidence of injury. Often, one may injure their neck, upper back, shoulder, or chest from exercises they have performed previously. Sports chiropractors will go over simple, yet functional rehab exercises, to create more mobility, flexibility, and improve posture along the way through chiropractic manipulation to realign the joints and to increase movement while also utilizing Active Release Techniques to loosen any tight muscles by breaking down scar tissue. Most athletes do not display proper strength in their neck flexors, internal rotators of the rotator cuff, and scapular retractors (muscles between and around the shoulder blades). Sports chiropractors work with individuals to improve strength in these areas to avoid injuries when exercising. 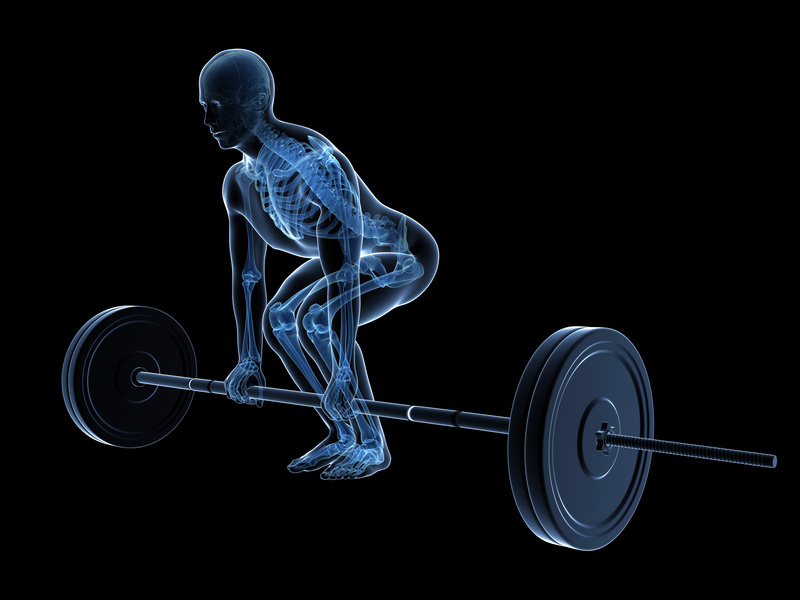 Taking a proactive approach and following recommendations from your sports doctor allows you to increase your strength when weight lifting and/or exercising, reducing any chance of injury, and changing your posture for good. You can be 80 and upright or 80 and hunched over. It’s your call!